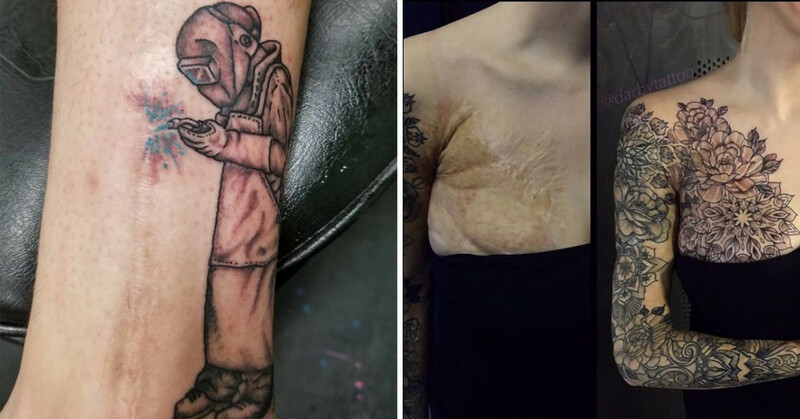 This is an incredible job by the tattoo artist! 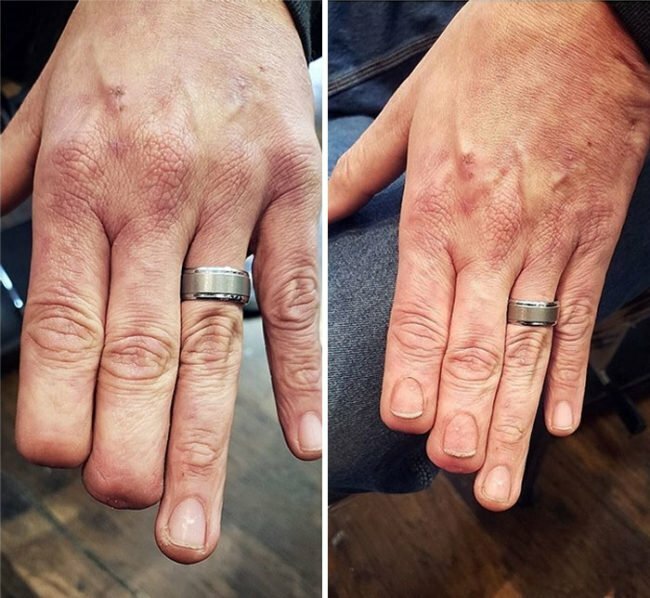 You wouldn’t even know that this is the same person’s hand. They will never have anyone glancing at their fingers again, this such a fantastic job, IT LOOKS SO REAL! You would never have even known that there was a scar there in the first place! 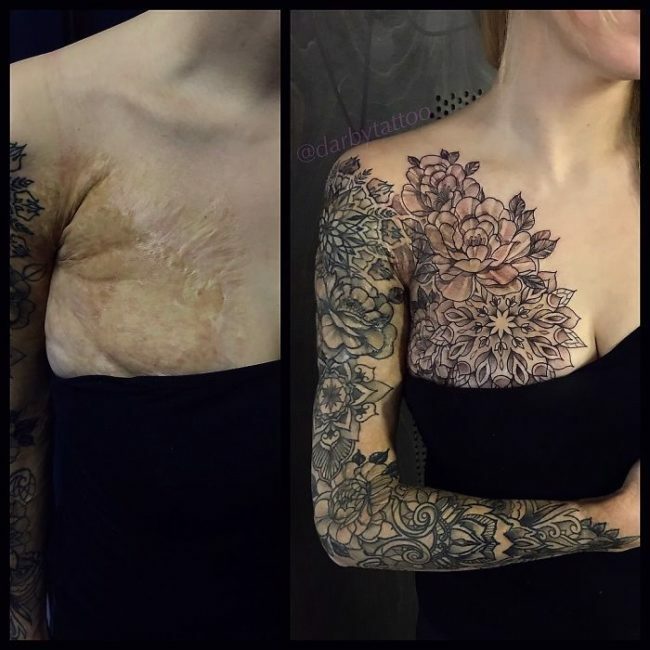 This design is simply stunning and works so well to cover her scar. Now, THIS is talent.